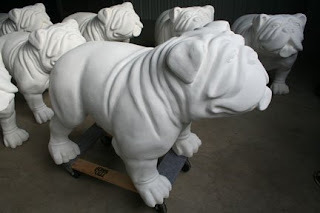 Mecosta County is lettin' the dawgs out! This is a picture of the dog I am painting for a project for my area. I am painting this guy as a surfer. Stay tuned for further developments.